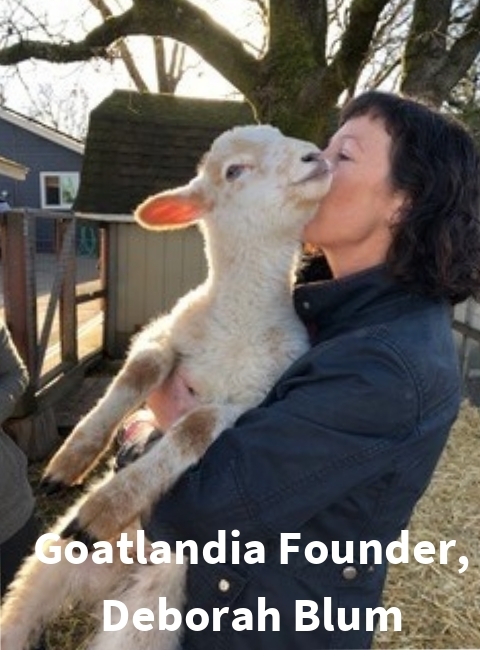 Goatlandia started after its founder, Deborah Blum, moved from San Francisco to NW Santa Rosa. A former commercial pilot and restaurant owner, Deborah gave up the city life and has devoted herself to the belief that all beings deserve to be happy, and to live free of harm and fear. The newly acquired acreage enabled her to have space for a few chickens and a couple of goats. 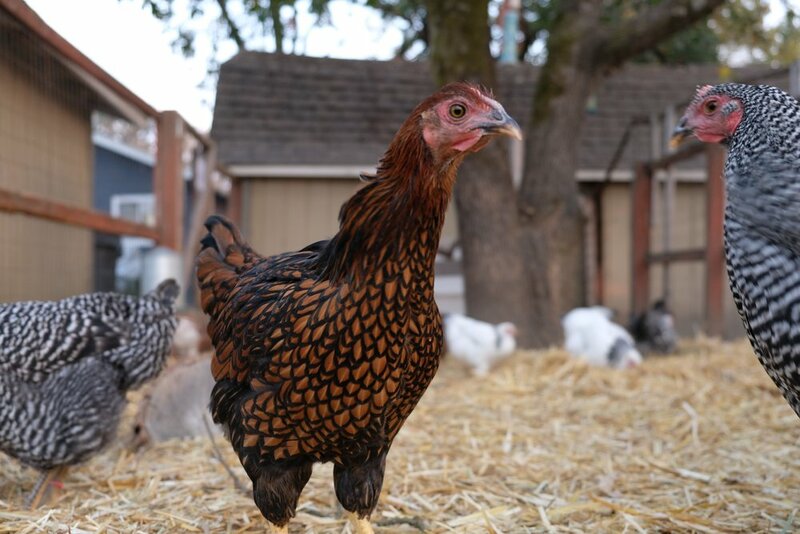 One thing led to another - her love of farm animals grew, as did her furry and feathered family. Almost all of animals were destined for slaughter, unwanted, sick or born with birth defects. They were rescued, healed, made to feel safe, and very loved (and a little spoiled). Today Goatlandia is home to 26 goats, 6 pigs, 47 chickens, 3 ducks, 2 sheep and 3 dogs and three happy and busy humans. We are a federally recognized 501(c)3 non profit, and are grateful to be a part of the community! We look forward to our future growth, and to expanding our property, our services and our family. Get in touch with Deb! Alana overheard the word “Goatlandia” at the bank and was intrigued enough to start talking to founder Deborah Blum about what it was. The next week she was cooking for Goatlandia’s first annual Fundraiser dinner and the next month she moved in. Coming from a kitchen background since she was 14 cooking her way through restaurants in San Francisco and Rome, Italy she decided to pursue her love for the outdoors, nature and animals through joining the Goatlandia family. As the Assistant Director you can find her out in the pasture with volunteers, leading outdoor goat yoga classes or cooking plant-based and educating people through their hearts and their minds. Get in touch with Alana! We have been involved with animal rescue since the devastating fires of 2018 in Santa Rosa. We were evacuated at 3am, and when we knew we were safe we helped rescue animals from around the county. We rescued and fostered many animals, most of which have since gone home. 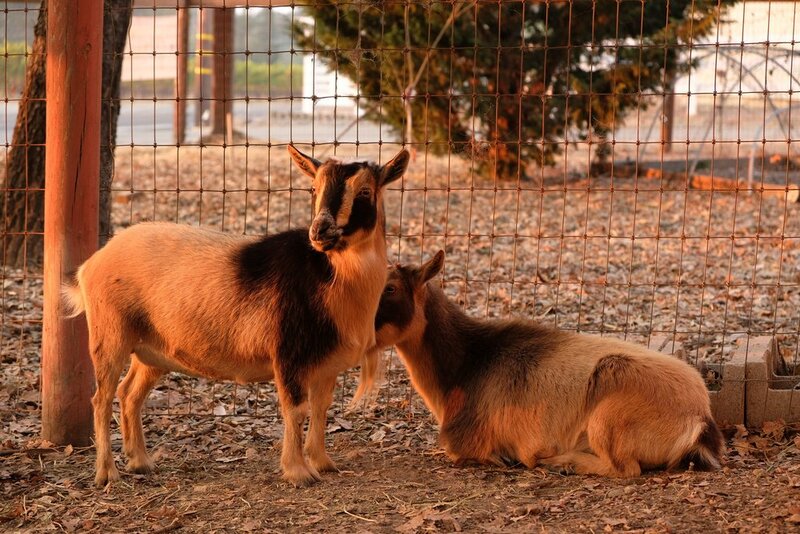 We still have about 16 goats that were abandoned by their owners, living happily at our second location in Sebastopol. Many of them are available for adoption. We are continuing our Animal Technical Rescue Training so that we can once again be of service to animals in a time of need. We are excited to announce our next step, which is acquiring a new, properly zoned property to relocate Goatlandia. We have a plan for a multi-use property which has an organic farm run by our new farmer friends, a microsanctuary for our rescued animals, a people barn for gatherings, and much more. We have held over 100 events in our first year and a half as a non-profit including kids education days, goat yoga, Airbnb experiences, vegan mentoring and education, and so much more. This new location will help us continue our efforts. We are looking for partners, advisors, and supporters to help bring this concept to reality. If you are interested in being a part of it, please email us please email us here .